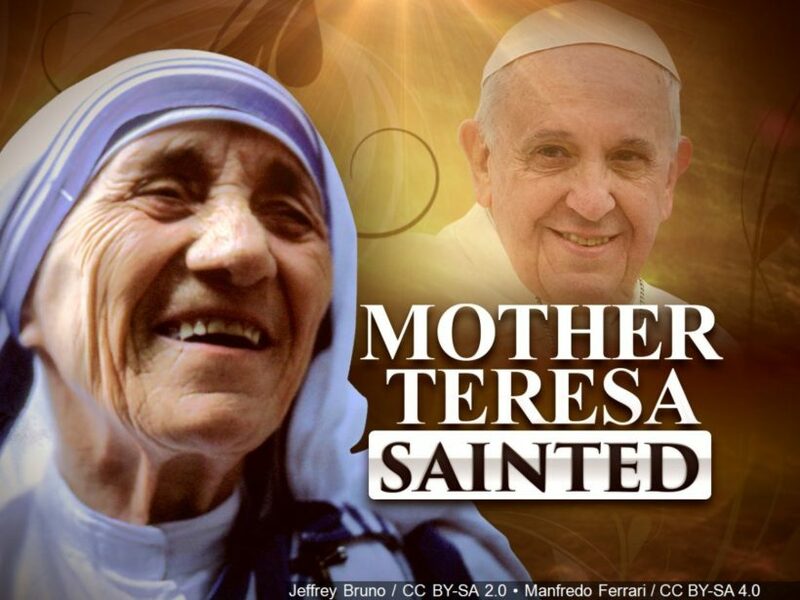 On Sunday Pope Francis canonized Mother Teresa as Saint Teresa of Calcutta. On Thursday, the Washington Post chose to run a slightly updated version of an item (“Why Mother Teresa is still no saint to many of her critics”) originally published in December of last year. …A CNN headline on Sunday…described her as a “troubled individual.” CNN reporters Mallika Kapur and Sugam Pokharel featured the intensely personal criticism by a man who — undisclosed to readers — is a “progressive” who is obsessed with shutting down the religious order Mother Teresa founded. The tone of Kapur’s and Pokharel’s CNN writeup is so harsh that it’s important to note that Mother Teresa began her active work in the late-1940s….and that being among the “poorest of the poor” in India, from before Mother Teresa began her noble work up to and including today…involves existing in horrible conditions very few in the U.S. can imagine. … Disillusioned former volunteer Hemley Gonzalez didn’t meet her in person, but what he calls the “horrific remnants of her legacy” have left him deeply uncomfortable. After visiting the facilities she’s responsible for starting, he feels only a “troubled individual” could have set them up. After the financial crisis of 2008, Gonzalez took a break from his real estate business in Miami and headed to India, where he spent two months volunteering at Nirmal Hriday, a home for the dying run by Mother Teresa’s Missionaries of Charity in Calcutta’s (now Kolkata) crowded Kalighat area. Gonzalez says he was appalled at the poor level of hygiene and medical care he saw there. He says the organization didn’t vet him or the other volunteers. None, including himself, had any medical experience or received any training before working at the hospice. … Chhanda Chakraborti is part of a group of local Kolkata volunteers who has been associated with the Missionaries of Charity for over 25 years. She served at Nirmal Hriday for several years before Gonzalez did. Undercutting Gonzalez’s hygienic assessment proved much easier than one might have thought. I was able to locate an online PowerPoint presentation from 2005 (seen here in Google cache) by a professor at India’s Prathima Institute of Medical Services. That presentation asserted that a full 157 years (at the time) after what the author described as the “Great Sanitary Awakening in Europe,” India’s “sanitary awakening is still a dream.” Mother Teresa died in 1997. If India’s hospitals and other medical facilities weren’t up to anything resembling Western standards eight years later, it seems more than a little unreasonable to go after the Missionaries of Charity at the time Mother Teresa was alive for having sub-Western practices. It’s also hard to imagine that sanitation practices at Indian hospitals had substantially improved in the three years before 2008, when Gonzalez arrived on the scene. I watched as members of the order drove a makeshift fleet of rickshaws around Calcutta’s streets, returning with ever more people in acute states of distress and neglect, some of them hours from death. The facilities were almost aggressively rickety — there was a hole in the bucket the nuns used to pull water from the well — but they were as good or better than what was otherwise widely available (as I learned myself when some weeks later I wound up at a free clinic in another part of India suffering from amebic dysentery). On my last night in Calcutta, Mother Teresa blessed me, gave me a Virgin Mary medallion and told me to come back someday. Even though I’m not Catholic, I was moved by her total commitment to the work at hand, which amounted to diverting a flash flood of sorrow, suffering and need directly into her front door. To be clear, if the current Missionaries of 2016 aren’t at least keeping up with local practices, they deserve criticism. But even if that’s the case, based on what’s been presented here, that doesn’t do anything to discredit Mother Teresa, who died 19 years ago. But that hasn’t stopped Gonzalez from trying. CNN’s reporters allowed him to personally attack now-St. Teresa, and even used his assessment in their headline, even though he obviously never met her. As such, CNN owed us more background about Gonzalez, and failed to provide it. Gonzalez is also a very frequent poster of relatively lengthy items at Humanists.com on a wide range of topics. There’s obviously nothing wrong with that, but it’s more than a little unusual that Mother Teresa’s most intense critic, who is supposedly “revolutionizing humanitarian efforts,” is going after someone who rarely if ever took a break from her work, yet spends a great deal of time on non-charitable pursuits. Yet only he supposedly knows how genuine charitable efforts should be conducted. By now, it should be clear that either CNN should have told readers a lot more about Hemley Gonzalez — which would have exposed him as an anti-religious [person] obsessed with ruining the legacy of arguably the past century’s most dedicated and accomplished humanitarian — or it should have given him no attention at all. My vote would be for the latter. Finally, there’s the issue of financial accountability and transparency. This is something the current sisters could consider improving. But there’s no record of any reported irregularity occurring during St. Teresa’s life, and she certainly lived the life of poverty she promised to live when she took her vows as a nun. 1. Which three types of bias does Tom Blumer’s post illustrate? 3. a) Aside from your religion (especially if you are not Catholic), it is responsible journalism for CNN to cast doubt on the good works and sacrifice Mother Teresa made based on one man’s testimony? Explain your answer. b) Consider the thousands of people who have volunteered at the Missionaries of Charity: should CNN have sent reporters to India to conduct an investigation before publishing these allegations which will cause people to doubt the credibility of these Sisters’ work with the poor in India? Explain your answer. labeling – The second kind of bias by labeling occurs when a reporter not only fails to identify a liberal as a liberal or a conservative as a conservative: (Mr. Gonzalez, the critic of Mother Teresa, is not an objective observer, but an active opponent of the Catholic Church.) In so doing, the reporters impart an air of authority that the source – Mr. Gonzalez – does not deserve. and spin – Bias by spin occurs when the story has only one interpretation of an event or policy, to the exclusion of the other: The reporters ignore the fact that medical care in India is not on par with the U.S., instead leading the reader to believe that Mother Teresa’s charity treats patients in an unhygenic manner as compared to regular healthcare in India; does not mention that these poorest of the poor would have no care if not for the Sisters. 3. a) and b) Opinion questions. Answers vary.